The Malt Company India Pvt. Ltd. TASTE TYPICAL CHICORY TASTE MATCHING WITH REFERENCE SAMPLE. 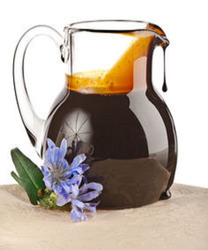 Chicory root is a great coffee substitution for those who are seeking to avoid the caffeine. Taste: Typical chicory taste matching with reference sample. With the valuable assistance of skilled team of professionals, we are engaged in offering an extensive range of high quality Liquid Chicory. We are offering Chicory Extract to our clients. It is obtained from chicory extract and adds a delicious flavor to your food recipes, main courses and desserts. Find the best of them with us. In India Chicory is being drunk from decades as a blend and substitute in coffee. In Europe and Russia, 100% instant chicory in powdered and liquid concentrate form is being consuming. India also started drinking pure chicory. Those consumers who wants coffee taste without caffeine they likes chicory. 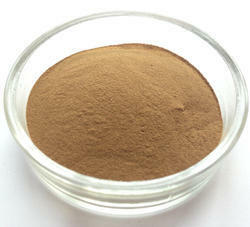 Chicory extract is made from drying and grinding the chicory and is used in high fiber diet as supplement or food additive. The grinded chicory is mixed with water that filter out all the soluble elements. The chicory root is a naturally occurring polysaccharide plant fiber that is rich in inulin.